No matter how you capture content, we can get it online. Give members the convenience of online CE. SeminarWeb’s platform works on all browsers and mobile devices, without the need for software or downloads. 24/7 access lets members earn CE when it fits their schedule. Our fully-managed solution gets you up and running in no time. Rather than spending your time on technology, just submit your content and we’ll do everything else. It’s not about the tech, it’s about creating valuable CE content to engage members. Our tools make it easy for participants. 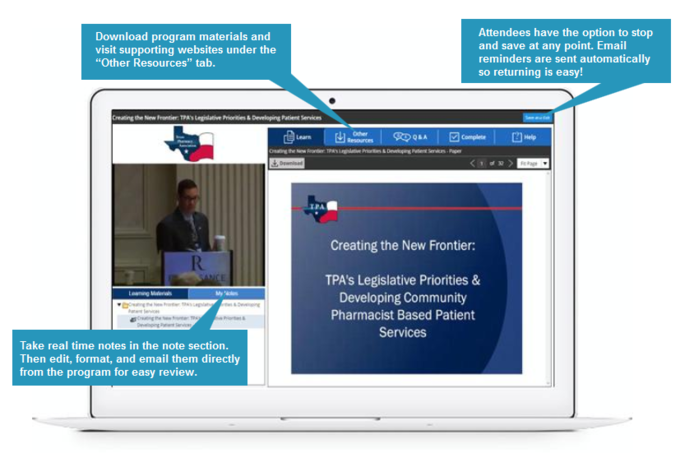 Having a great online CE experience is critical for self-paced learning. Our solution is simple for participants, does not require downloads, and toll-free support is provided by SeminarWeb. Add sponsor branding to generate additional revenue. You can add logos and banner ads within online programs, giving sponsors valuable recognition and additional revenue for your association. Multiple tools validate participant comprehension. 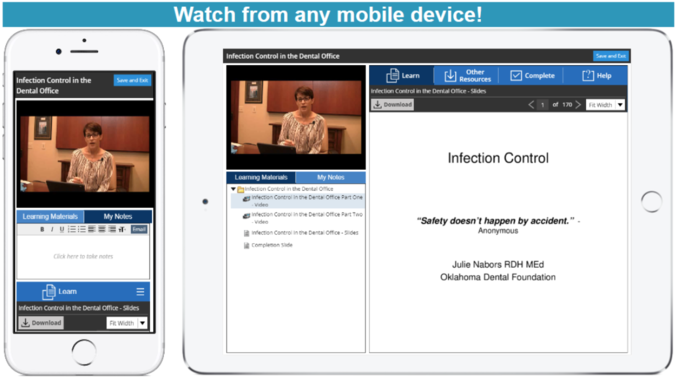 A variety of controls can audit participant attendance. 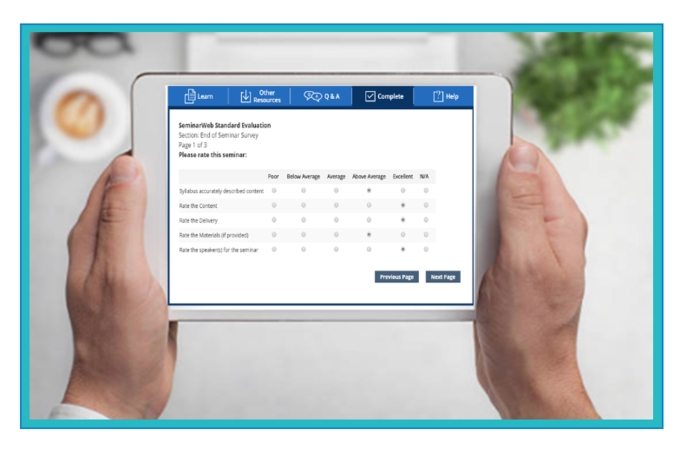 We help you meet the audit standards of credit authorities by adding attendance prompts, automatically pausing programs if a registrant navigates away, preventing fast-forwarding and more.